Scott Depenbrok began his career more than 20 years ago at Motion Solutions, known then as Bearing Engineers. He spent several years there as a field sales engineer. Next, he moved to Yaskawa as a field sales engineer and then Danaher as a western region sales manager, learning how to navigate high-pressure environments and absorbing best practices. In particular, his tenure at Danaher gave him experience serving customers with exacting needs. It also gave him great familiarity with Danaher’s Kollmorgen business, which is now one of Motion Solutions’ manufacturing partners. Perhaps most important, Scott gained experience in strategic planning and tactical thinking that informs his decision-making process today. Ultimately, his career path brought him back to where he started–Bearing Engineers. He returned to the company as northern California branch manager. He actively participated in Bearing Engineers’ growth as the company changed names to Motion Solutions and took aim at a whole new level of productivity and profitability. Today, Scott is president of Motion Solutions, guiding the company through this new growth phase. Outside of work, Scott enjoys spending time with family and coaching youth sports, particularly Little League baseball and Pop Warner football. He holds a BSME and a BS in aeronautical science and engineering from the University of California, Davis. Wally Logan brings in-depth engineering expertise to his position as vice president of engineering at Motion Solutions. Wally began at Motion Solutions, then called Bearing Engineers, directly out of college. He started as an applications engineer, training under company cofounder Bob Bloom to learn the proprietary techniques the Bearing Engineers principles developed to optimize motion system performance. Wally was also mentored by Tom O’Sullivan, who was instrumental in establishing the Motion Solutions engineering services group. Working with O’Sullivan, Wally gained extensive practical experience in design aspects such as working with square-rail bearings and other techniques used to maximize the performance of custom-designed subassemblies. Wally worked his way up to chief engineer, growing along with the company. As the custom manufacturing business took on increasingly complex projects, Motion Solutions needed greater oversight over production, test, quality assurance, etc. Wally became vice president of engineering, adding oversight to his existing engineering roles. Today, he leads a thriving Engineered Solutions Group, positioning Motion Solutions for ongoing growth. Logan is a classic car enthusiast, restoring and racing a 1968 Chevy Camaro. He holds a BS ME from California State University at Long Beach. 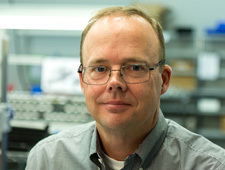 Bill Lackey brings more than two decades of engineering experience to Motion Solutions. During his six years at the company, he has managed nearly all aspects of the organization’s motion-control business. In particular, he has led the applications/electrical engineering team, and the California sales teams. Prior to joining Motion Solutions, Bill served as controls sales manager at Danaher Motion in the Kollmorgen Division. This experience with Danaher added to Bill’s engineering and sales expertise and gave him deep familiarity with the same Kollmorgen equipment that Motion Solutions distributes today. He previously served as a field applications engineer for Danaher. Before that, he spent nine years working for the Parker Hannifin Compumotor Division, rising from applications engineer to marketing training coordinator, to product planning manager and systems engineering manager. The last two positions focused on new product development, from identifying customer need to building a product-development strategy to new product rollout. Away from work, Bill competes in Ironman triathlons, training alongside his wife, also a triathlete. He holds a BSEE from California Polytechnic State University, San Luis Obispo. Elizabeth (Betty Ann) Gordon enhances the Motion Solutions executive team with director-level experience in multinational organizations with revenues of billions of dollars annually. 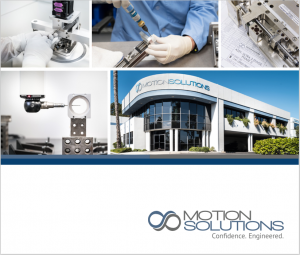 As Motion Solutions positions itself to become an ever bigger contender in the motion control and automation market, she stands ready to help position the organization for growth, whether through sales or acquisition. 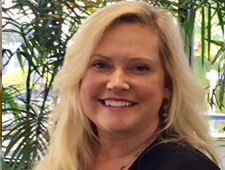 Before joining Motion Solutions, Betty Ann served as global director of channel finance at Crane Payment Innovations (CPI), a manufacturer of payment solutions for gaming, retail and kiosk, transportation, and vending applications. In this role, she led the Global-Channel Financial Management team and Global Credit and Collection team, as well as facilitating the assimilation of acquisitions. Prior to that position, she served as global director of finance and human resources at MEI Inc., a global producer of unattended payment systems, acquired by CPI. There, she provided strategic guidance and planning that helped improve company operations and performance. Previously, she held various roles at DuPont, including stints as a senior business analyst, supervisor of operations for the company’s savings and investment plan, and external reporting coordinator in charge of financial filings for the company’s benefit plans. Betty Ann is an outdoor enthusiast, enjoying hiking and the beach. She also enjoys live music, the theater, and spending time with family. She holds a BS in finance from Pennsylvania State University. With over 20 years’ experience driving change and continuous improvement in operations and supply-chain organizations, Mark Isola has demonstrated the ability to create successful teams in any manufacturing/distribution environment or culture. He has implemented and improved operations systems in a variety of industries including aerospace and defense, medical, electronics, and automotive. 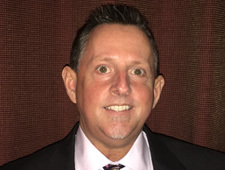 Prior to joining Motion Solutions, Mark served as director of operations/plant manager for a division of the Kerry Group, a $75 million food and beverage manufacturer. He oversaw the multisite operation, which included a 120,000 ft.² distribution and manufacturing facility. Before that, he was director of operations at Dynamic Air Engineering, boosting the organization’s on-time delivery record from 47% to 95%, while reducing lead times by 25%. Other key positions included supply chain director for Safariland, a $200 million defense and automotive manufacturing firm and director of materials at Cambro Manufacturing, a $190 million international injection/rotational molding company. 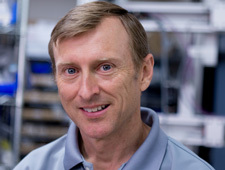 Bill Saunders has 20 years of experience working with engineers in the mechatronics space. 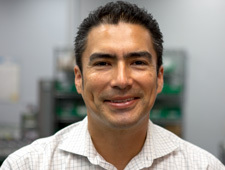 His long-standing passion for engineering leads him to focus on helping customers find the best solutions for their motion problems, whether that involves clean-sheet design or helping to select the optimal stock components. Bill was previously regional sales manager at Panasonic, where he focused on high-performance motion-control platforms. The role enabled him to develop designs from concept through full production. Prior to that, he spent almost 10 years working for Omron, a company that is now a Motion Solutions supplier partner. Bill’s job roles at Omron included US business development manager, strategic accounts manager, and area sales manager for Omron Scientific. In the latter position, he focused on safety PLCs and safety controls. He used his knowledge of ISO 13849 and ANSI B11 to teach training courses to customers and distributors, as well as to help customers design safety-enabled systems. Prior to Omron, he amassed intensive customer-facing experience as a sales engineer for two different automation suppliers and distributors. In his free time, Bill enjoys mountain biking, camping, and spending time with family. He holds a BSME from California Polytechnic State University, San Luis Obispo and an MBA from California State University, Hayward. Peter Hoffman joined Motion Solutions in 2016 as vice president of marketing. In this role, he oversees Motion Solutions’ strategic marketing initiatives. His responsibilities include guiding the company’s brand, advertising, community relations, creative development, digital marketing, external communications, marketing effectiveness, and public relations. Throughout his career, Peter has focused on the difference that innovative technology makes within individual, non-profit, academic, and corporate environments. Prior to coming to Motion Solutions, Peter was vice president of sales and marketing for the R.M. Hoffman Company. He was vice president of institutional relations and on the founding team of Campus Quad, an app that created a private mobile community for institutions of higher education. Earlier, he headed national business development for the educational software company Kno. Hoffman worked at Apple over an eight-year period, developing and managing strategic marketing programs for U.S. higher education. Peter enjoys hiking, photography, and spending time with his family. He also sits on the boards of several Silicon Valley community non-profits. 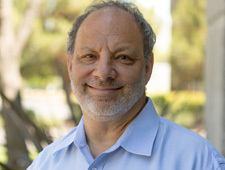 He holds an undergraduate degree in political science and economics from the University of California, Berkeley and an MBA from San Jose State University. Casey Covey joined Motion Solutions in 2014 after he toured the main production facility and recognized the advanced capabilities of the organization. From the time he finished undergraduate school, he has worked in motion control and automation. His time spent in engineering has given him a strong foundation in understanding and communicating about highly technical concepts and products. With job experience in both northern and southern California, he has been exposed to a diverse array of end markets, from semiconductor and defense to food processing, solar, and biotech. 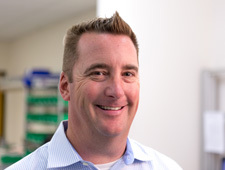 Prior to Motion Solutions, Casey spent seven years at a major automation specialist and motion control distributor, working first as an applications engineer and then as a sales engineer. This combination of engineering and customer-facing positions has given him a strong technical background that enables him to be creative in applying technology to solve challenging problems. 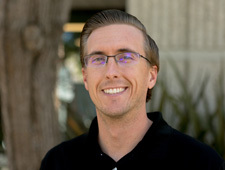 Casey holds a bachelor’s degree in Mechanical Engineering from California State University, Chico and an MBA from San Diego State University. He enjoys golfing and fishing in his spare time.